My father is now dead set on a 2014 Tempest Blue Nissan Altima. What do you think about these? He really wanted a Volvo...but the salespersons didn't even care about him leaving him in the showroom watching the cars for over 20 mins. 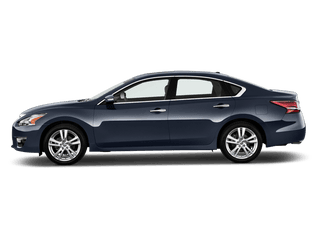 He went to Nissan and he had great service as usual and got a deal on a fully loaded 2014 Nissan Altima SL 2.5L in trempest blue. I'm not a Nissan guy...but what do you guys think about his choice? Could he get something better?